ASTM 182 Stainless Steel Socket Set Screw Screw Fastener 304/304L, ASTM 193 SS Socket Set Screw Fastener 316/316L/316H, ASTM 194 SS 321H/347H Socket Set Screw Fastener, Carbon Steel ASTM 193 B6/B7 Socket Set Screw Fastener, Alloy Steel ASTM 320 L7/L7B Socket Set Screw Fastener, S31803/S32205 Duplex Steel Socket Set Screw Fastener, Hastelloy B2/B3 Socket Set Screw Fastener, Hastelloy C22/C276 Socket Set Screw Fastener, Inconel 600/601 Socket Set Screw Fastener, Monel 400/K500 Socket Set Screw Fastener. Socket Set screws are utilized to fasten an object inside or against another objective, for example joining a gear to a shaft. Moreover, rather than binding materials together via threads, a set screw applies pressure at the tip to anchor objects in a set position. 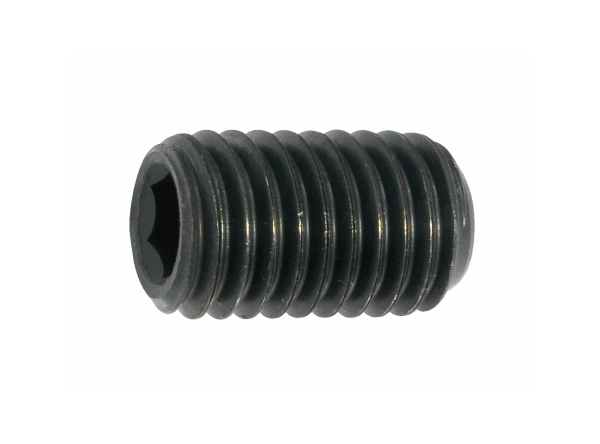 Socket set screws are available in various styles with its own cons and pros. Socket set screws are available n a full range according to the standard format like ASTM/ANSI/DIN. JF Engineering is the major Organization in offering Socket Set Screw Fastener to the clients. It is manufactured by utilizing the supreme quality material under the supervision of experienced team according to the national and international market standards. This product is stringently checked by the quality auditors on well defined parameters available at various grades and materials.